Is Your Home Remodeling Project Estimate Priced for Problems? Getting a fair estimate for your home remodeling project is important. But what if the price seems almost too good? According to one remodeling industry expert, “Remodeling horror stories often start with a great price.” Why is that? Shopping for a remodeling project isn’t like purchasing a brand-name product where you get the same product no matter what retailers charge. In fact, comparing bids on “price” alone can be a costly mistake. 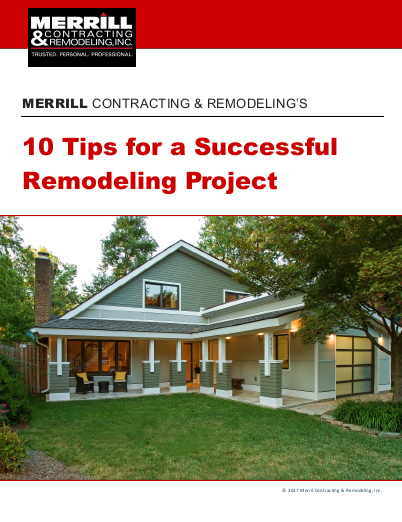 A better approach is to look at what factors affect the remodeling estimate you’ve received and consider the true value of what you are getting. For example, to give a lower estimated price, remodelers can base their estimate on lower-quality lumber, cabinets, flooring, windows, doors, and other materials and skimp on the thickness of sub flooring or the amount of insulation they actually use. You won’t know this until too late — when things start to warp, fade, crack, jam, leak or squeak. They can also base their estimates on “allowances” for the least expensive option in lighting or plumbing fixtures they install. You won’t discover that the estimate covers only low-end fixtures until you begin making your actual selections. Then, you’ll pay extra for what you thought was already included — a price that may even cost more than the “higher” estimates you received from remodelers who priced their estimates fairly. These practices are, in our opinion, misleading and shady if not downright unethical, but not necessarily illegal. Plus, by using them, remodelers can cut 30%, 50% or even more from the upfront price they give you. Some remodelers, however, cross the line by not being licensed or even legally recognized businesses. They may not carry workers comp. If a worker is injured on your job, you can be liable for medical, lost wages and other expenses. General business liability insurance may be missing as well. Or, they may ‘save you money’ by not pulling a permit or getting inspections. That’s illegal. It may let them give you a lower estimate, but it puts you at greater risk. Some remodelers (licensed or unlicensed) may suggest you take out the building permit in your name to “save money”. Careful! This means you and not them will be legally and financially responsible for the project meeting code. 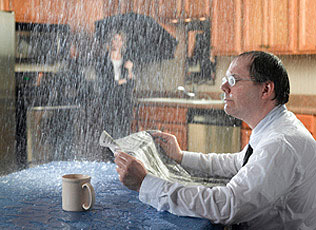 Wouldn’t you rather have your remodeler responsible for their work? Plus, remodelers who take these types of illegal and misleading shortcuts may take other shortcuts when building your project. If they don’t get a building permit, they don’t need inspections and if there are no inspections, do you think someone who takes these short cuts will be concerned about meeting electrical and building code standards? © 2010-2015 Continuum Marketing Group LLC – Publishing Division – ALL RIGHTS RESERVED.